Multiple MINI Challenge race winner Rob Smith says he is eyeing nothing less than the coveted saloon car championship title this year after today, confirming his continuation in the popular category in the headline F56 Class. 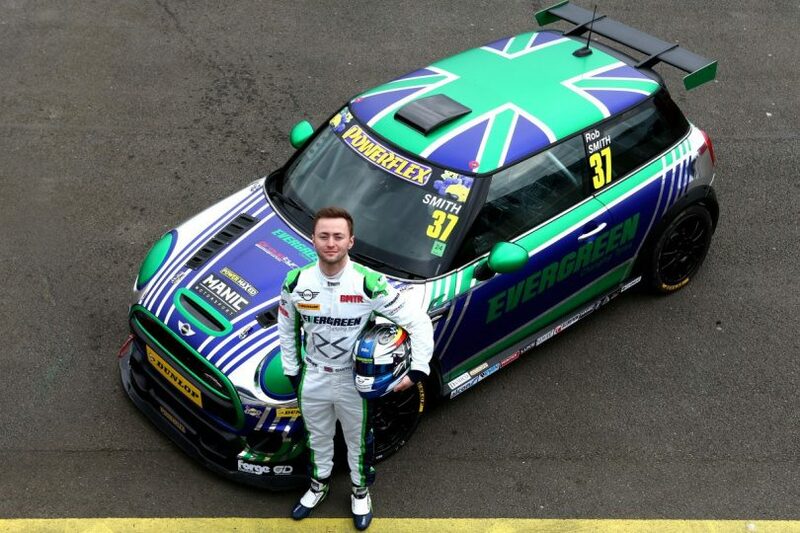 Delighted to extend his association with long term sponsors Evergreen Tyres, a leading value tyre manufacturer, national tyre wholesaler GroupTyre UK and BMTR, the longest established tyre specialist in Britain, the 23-year-old from Telford will again pilot a 260bhp MINI. . . .